Each time you speak, whether it’s prepared or impromptu, the process is fundamentally the same. First, you collect your thoughts. Next, you sort and sequence those thoughts and, finally, you share them with your audience. The major distinction between the prepared and impromptu talks occurs at step one, thought collection. Obviously, you cannot collect your thoughts because the topic is unknown. Consequently, steps two and three are adversely affected. If you’ve ever been unexpectedly asked to “say a few words” and felt your brain racing as it flooded with ideas, you know exactly what I mean. Like many of life’s challenges, what separates the wheat from the chaff is your ability to quickly adapt to the unknown. Impromptu speaking is no exception; the secret to mastering the impromptu talk is to establish and practice a few well-defined thought patterns. This way, no matter what the topic, you can quickly formulate and express your thoughts in a clear and compelling way. Think of it like a cookie cutter. Chocolate chip, peanut butter, double fudge . . . the flavor of the cookie (your speaking topic) will change but the shape produced by the cookie cutter (your thought pattern) will always be the same. Perspective — Admittedly, public speaking can be scary but impromptu speaking takes the cake. 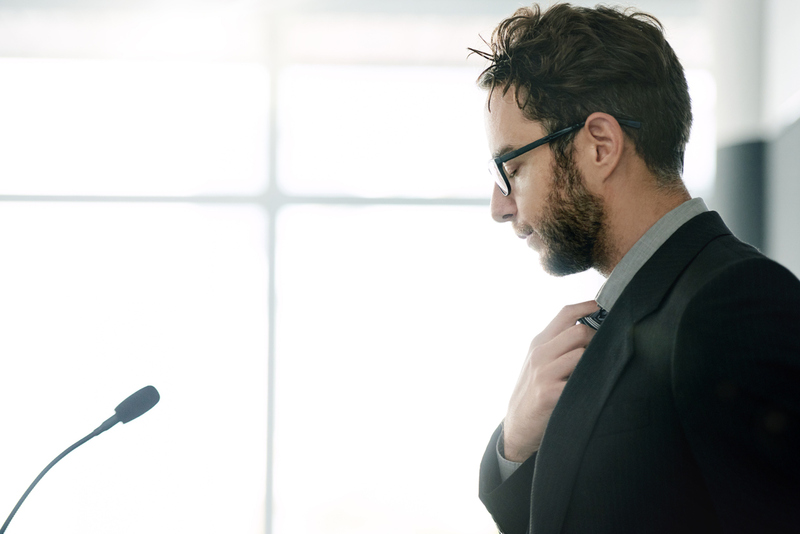 Position — If you’re serious about taking the guesswork out of impromptu speaking, you need a few cookie-cutter thought patterns in your back pocket. Once you establish your go-to thought patterns (or borrow mine), the next step is practice. (Yes, Allen Iverson – Practice!). Here’s the skinny on practice: (1) on slips of paper, write down 5 – 10 topics you could be called upon to speak about; (2) scramble those papers and pick one; (3) try to speak on the chosen topic for one minute. When you’re comfortable doing that with several topics, extend your speaking time. Wash . . . rinse . . . repeat. Rarely has anyone skyrocketed their career or exploded their business from an impromptu talk but many have diminished their reputations because they could not own the moment. There is a silver lining in the impromptu cloud ― at least you don’t have to worry about forgetting what you planned to say! Thanks Dez. These tips will assist me when the time comes to, “own the moment”.